Champions, champions. Everywhere you look, more champions. When a program from the Class 2A Greater St. Helens League wins a state championship, it is also a victory for the entire league. These days, that league is constantly in celebration mode. Of the eight traditional team sports sanctioned by the Washington Interscholastic Activities Association, the 2A GSHL has five reigning state champions. The league is sharing the glory, too. The five champions represent a different school featuring Clark County athletes. Last spring, the Woodland Beavers won the softball title on the same day that Columbia River took home the boys soccer championship. In the fall season of this academic year, Ridgefield won the state volleyball tournament. A few weeks later, Hockinson repeated as the football champion. Last month, the Washougal Panthers won the girls basketball title. We are describing traditional team sports as sports that do not crown individual champions. In the past year, with the three WIAA sports seasons — spring, fall, and winter — no other league in any classification has more than three state championships. Then there are the district playoffs in order to make it to state. District 4 in Class 2A is a powerhouse in a number of sports, with schools such as W.F. West, Black Hills, and Tumwater. In fact, in the fall, three 2A GSHL volleyball teams survived the district tournament, then finished first, fourth, and sixth at state. The dominance in volleyball is felt throughout the league. Josh Johnson, the AD at Hockinson, said when it is his school that is winning a state title in a sport, life is great. However, the 2A GSHL’s brilliance in other sports can become frustrating for some of his fans. 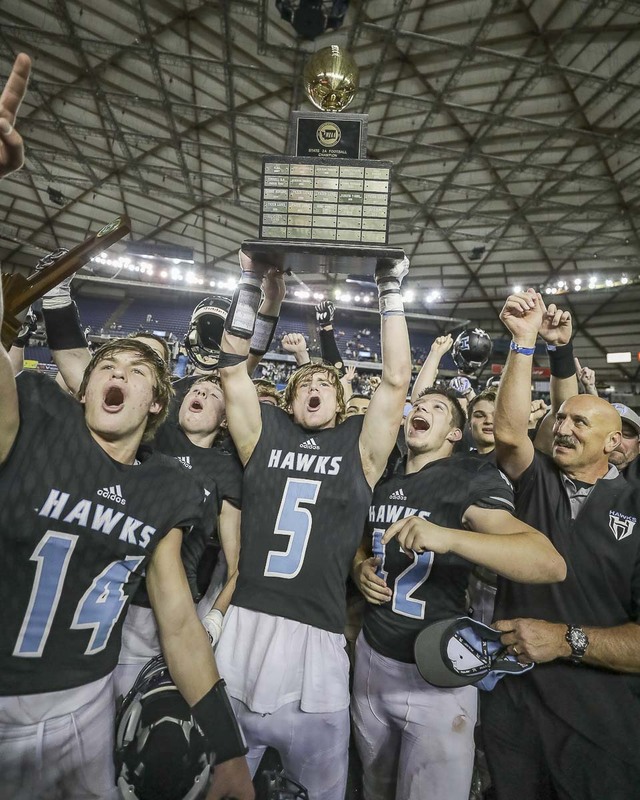 Right now, the Hockinson football program is on top of the 2A world with back-to-back state titles. The Hawks will likely be ranked No. 1 to start the season in the fall, as well. That success, in the most popular sport, can lead to some unreasonable expectations in other programs. Johnson said he has had to remind parents just how competitive the league is in all sports, and that winning it all in one sport does not guarantee the same success in another. “It is difficult for our teams and parents to understand that in any other league, we’d probably make it to state (in a particular sport). In this league, we’re third or fourth,” Johnson said. Football, he said, has had a great run of talent and coaching. It also took years. Johnson said he can recall when everyone wanted to play Hockinson football for homecoming. Not anymore. Naturally, athletic directors want success for all of their programs. Talent is crucial, but so, too, is finding the right coaches to lead the athletes. “We are extremely focused on hiring the right people, and by that I mean those who aren’t all about the wins but are also about building character and using athletics as a tool to help shape great people,” said Brynan Shipley, the athletic director at Ridgefield. Great coaches and talented athletes. “That combination is creating success,” Shipley added. “It’s a good league. It’s a fun league. It is a tough league,” Liberatore said. When he interviews candidates for coaching jobs at Columbia River, he said they already know all about the 2A GSHL’s reputation. “They relish that opportunity,” he said. The coaches and administrators also appreciate each other. They truly do pull for each other, at least when they are not competing against each other. Athletic directors meet at least once a month to go over league business. “The camaraderie within the group is a trait that I feel most leagues strive for,” Shipley said. A state championship is worthy for celebration at any classification, at any school. For towns with just one high school, it turns into so much more than just a school event. 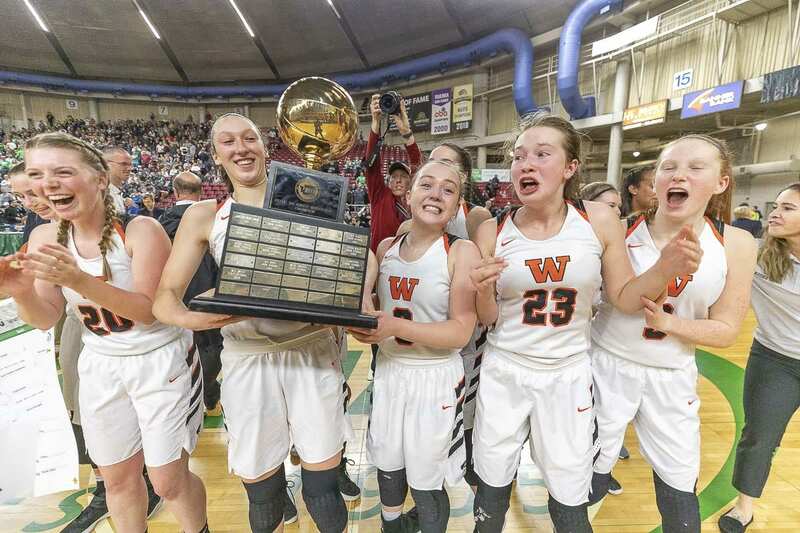 Washougal’s title in girls basketball last month was the first traditional team championship for the Panthers since the baseball team won three titles in the 1970s, according to WIAA records. Ridgefield, Woodland and Hockinson can relate. Shipley got that winning feeling almost immediately. She became Ridgefield’s AD over the summer. The Spudders won the volleyball title a few months later. She described it as an unforgettable experience. “It made me feel a sense of pride for a school that I was just getting to know,” she said. And while Columbia River is in Vancouver and is one of four high schools in Vancouver Public Schools, there is a Columbia River athletic community proud of its rich history. 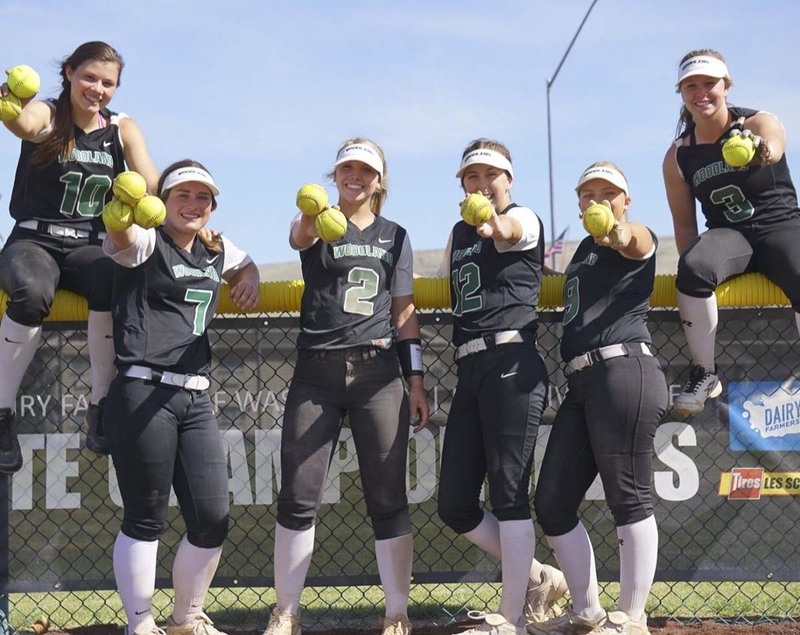 The Woodland Beavers hit a bunch of home runs plus had amazing pitching en route to the 2018 Class 2A state softball title. The Beavers won their state title the same day Columbia River won the boys soccer title. Photo courtesy Woodland athletics. Looking ahead, there are plenty of indications that this recent success will continue. In softball, a case can be made for Woodland repeating or Ridgefield making a run this spring. 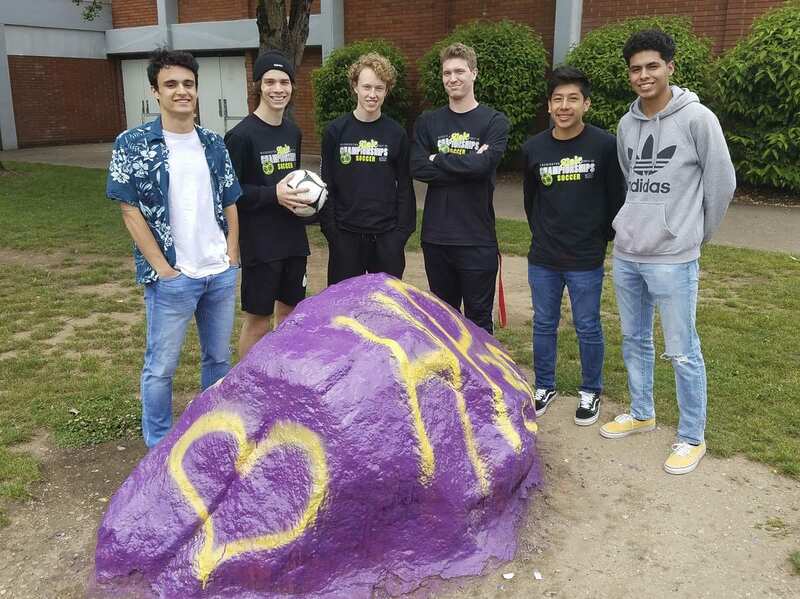 In boys soccer, Columbia River remains dominant. Next fall, we already know about Hockinson football. Those who survive volleyball’s regular season and district tournament are automatic threats to win state. And in the winter, while Washougal might not be picked to repeat after graduating three seniors from the girls basketball team, do not be surprised if the Panthers return to Yakima for the state tournament. A lot of young talent on that title team, too. A championship run that just might have plenty of leg left to carry on this spring and into the next school year. “We are proud of what we are accomplishing in our league,” Huddleston said.